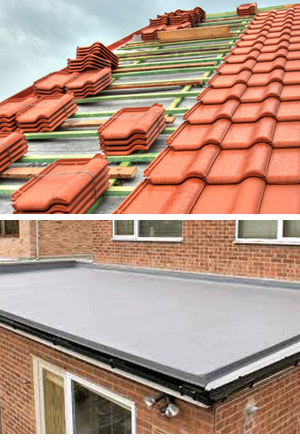 Due to increased customer demand, Rawdon Roofing Construction Services are fitting more EPDM rubber as a modern solution for a leaking flat roof. This is the best answer to replace or renovate old worn out roofing materials. The all-cold process ensures quick fitting, therefore reducing costs, as no flat roofing specialist tools are required. Flat roof felt, asphalt and bitumen have a limited life span due to rapid deterioration caused by varied weather conditions. This new rubber membrane solution will prevent the need for continually re-felting problem areas and is guaranteed.